The mission of the Westlake Academy Guidance & Counseling Department is to provide a comprehensive program, which fosters academic success, college and career preparation, and social and emotional development. Through effective communication, Westlake Academy school counselors will consult and collaborate with students, parents, teachers, and members of the community to advocate on behalf of all students. The vision is to create a safe and nurturing environment where kindness abounds and all students feel supported and valued in their journey to become life long learners and global citizens. Josh Ochs, leader in social media safety education, visited Westlake Academy in January 2019 and spoke to students and parents. See more information and access great resources on his website, smartsocial.com. Chris Scheufele came to our campus in February 2019 and spoke to students about how to cope with bullying. His engagement with the students was evident across all programmes. See more on his website. 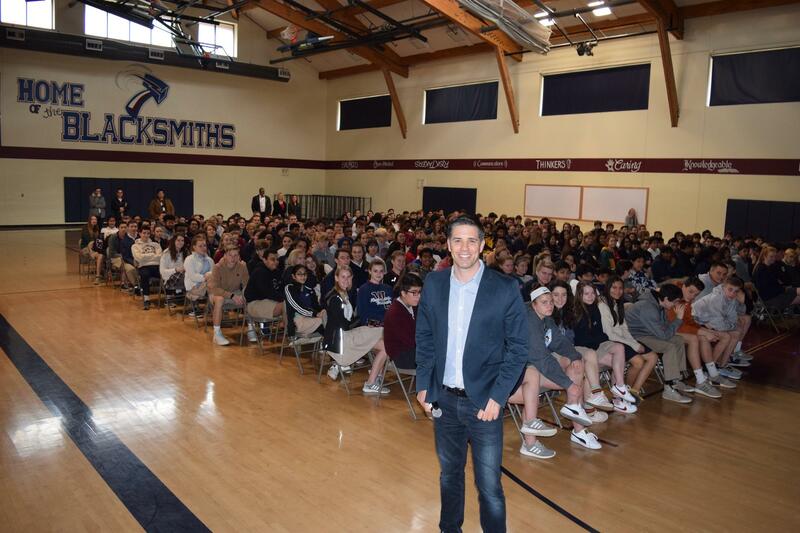 Josh Ochs, leader in Social Media Safety, spoke to students in January, 2019. Visit his website for great resources.